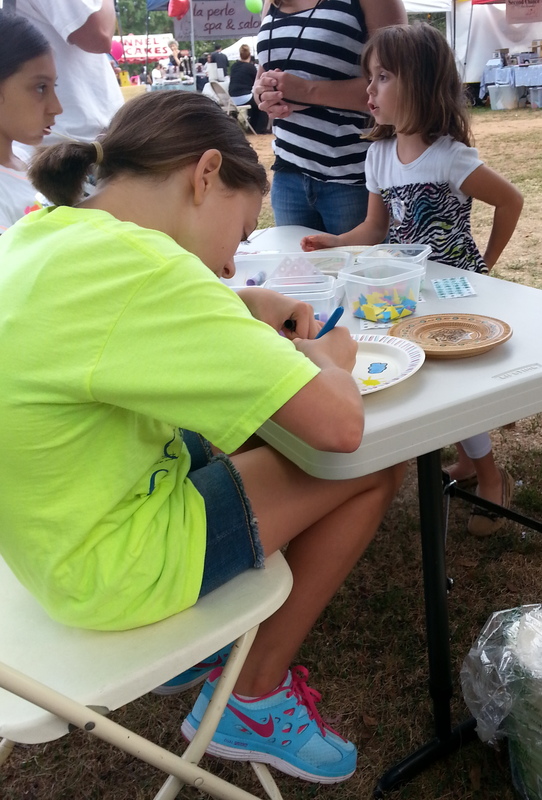 On September 20, 2014, the Center took part in the inaugural Franklin Day Festival, organized by the Franklin Township Cultural Arts Council of the Center's hometown of Somerset (Franklin Township), NJ, along with vendors, local artists, and other non-profit organizations. 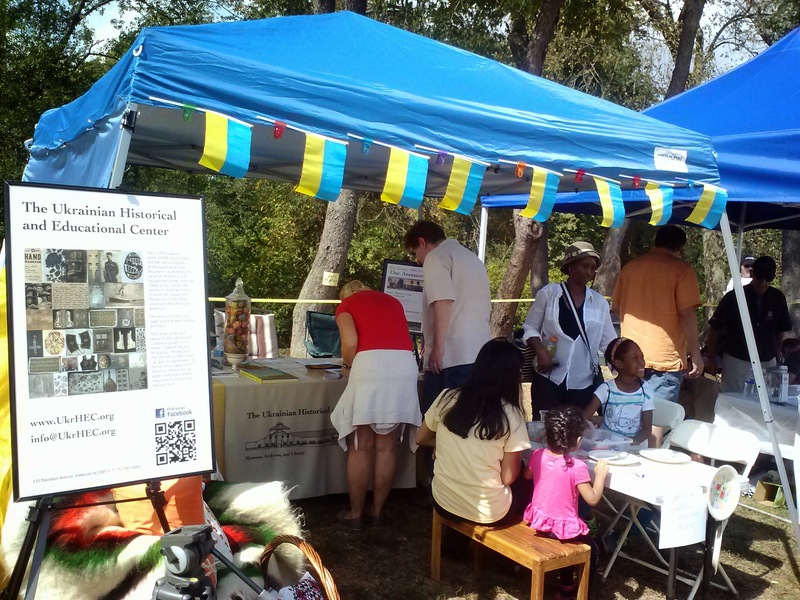 The Center's tent included examples of Ukrainian folk arts (embroideries, rushnyky, pysanky, and wood carvings), information about Ukraine, and about the Center. 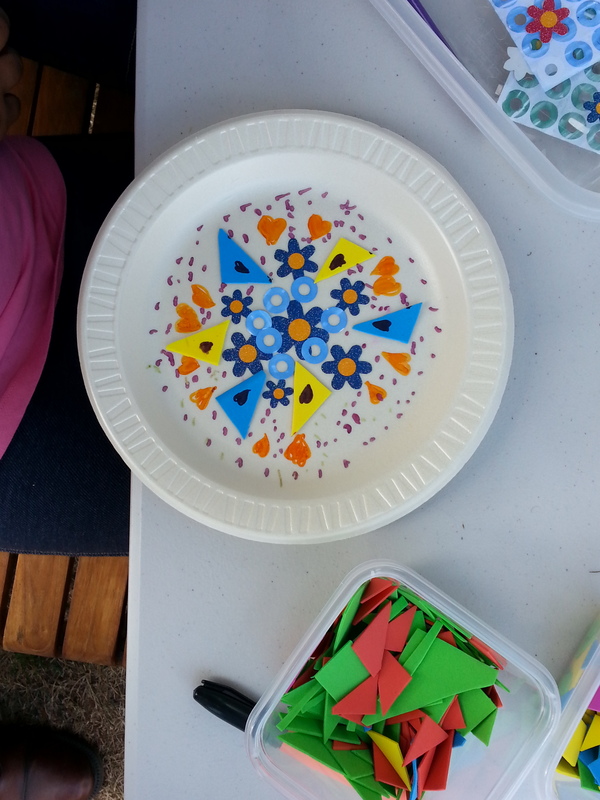 Also under the tent was kid's table for making "Ukrainian plates" inspired by the traditional Carpathian carved and inlaid decorative wood plates, which children made from plastic dinner plates and stickers, beads, foam cutouts, and markers. Many of the visitors were interested in finding out more about the Center, while others had seen the Center's new building rising along heavily-traveled Davidson Avenue, but did not know that it was to be the new Patriarch Mstyslav Museum. Franklin Township is an extremely diverse area of New Jersey, having major populations of Indian-Americans, Caribbean-Americans, as well as whites and African Americans, and the range of attendees that stopped by the display reflected this diversity. A number of the Indian-Americans commented on the similarity of the embroideries to some of those in India, and a number of Indian and African Americans were interested in participating in future pysanka workshops. The Festival was a great occasion at which to introduce the Center to a wider non-Ukrainian public, and we thank Tiffany Delaney and Councilwoman Roz Sherman for giving us the opportunity to participate. A special thanks to Lev Khmelkovsky of Svoboda for his photographs!